If you’re asking yourself “what is semantic technology?” you are already, in fact, using semantics. Semantics is the study of meaning and semantic technology is usually referred, in its simplest definition, to software that analyzes text and is able to associate meanings to words. 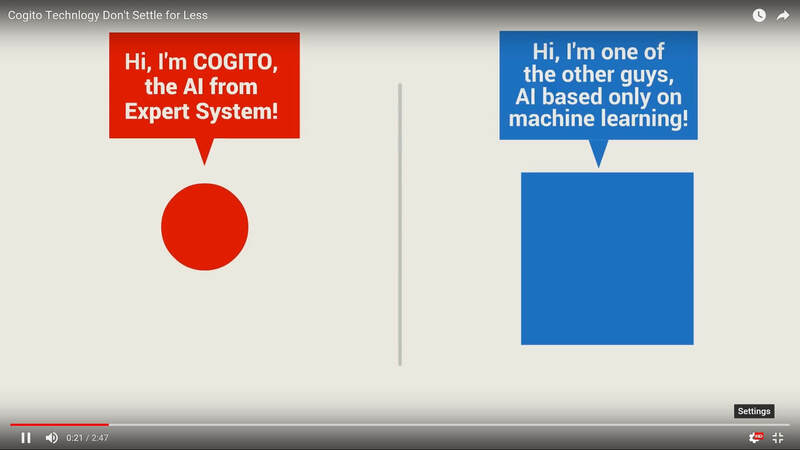 Cogito, our semantic technology, leverages machine learning and artificial intelligence algorithms, semantic technology to simulate how people understand language and in this way recognizes the meaning of words in context. Any organization is looking for meaning in the flood of data and unstructured information they deal with every day. Businesses have realized that they need more intelligent technologies to manage their knowledge in the most effective way; cognitive software based on semantic technology like Cogito brings a human-like intelligence to effectively manage the knowledge and information that organizations depend on. Want to learn more about Expert System’s semantic technology? Start a Demo Right Now! How does semantic technology work? It identifies the text elements and assigns them to their logical and grammatical role. It analyzes context and text structure to perform accurate disambiguation of words that have more than one meaning. Understanding the accurate meaning of words is fundamental for understanding text and performing text analytics. With the Expert System semantic technology, our knowledge graph (Sensigrafo) breaks through the major stumbling block in many text analytics technologies by identifying the correct meaning of words and expressions in content. Semantic technology processes the logical structure of sentences to identify the most relevant elements in text and understand the topic discussed. For example, it understands that a text is about “politics” and “economics” even if it doesn’t contain the the actual words but instead contains related concepts, such as “election”, “Democrat”, “speaker of the house” or “budget”, “tax” or “inflation.”. Our Cogito semantic technology leverages artificial intelligence algorithms to identify the expressive structures that, when recognized, can infer important information from the content. Unlike keywords and statistics technologies or machine learning and probabilistic algorithm approaches, semantic technology does not process text as a string of characters without considering the concept they express. Relying on a deep semantic analysis and our knowledge graph, Cogito to understands text as a person would. Our semantic technology offers a complete set of features for text analytics and natural language processing that help companies improve their ability to use big data and all the avilable information.